Tourists who would be visiting the Kakum National Park are to expect interesting varieties of new packages in addition to the canopy walk, Mr Isadore Nii Attoh Armah, Executive Director of the Ghana Heritage Conservation Trust (GHCT), has said. The Park, which is home to elephants, more than 800 rare species of birds, butterflies, reptiles, amphibians and monkeys, such as the endangered Diana Monkey, and the exclusive Bongo antelopes, has been known widely for its canopy walkway. “For now it’s not just the canopy walkway, we have a couple of interesting packages which include our exhibition hall, hiking and background, tree housing, camp site and the Animal Viewing Zone ”, Mr Armah said. The Animal Viewing Zone for example, would offer visitors the opportunity to see and feel different wildlife species in their natural habitat. Speaking in an interview with the GNA, on the side-lines of an Independence Day inter-schools games organised by the Park, Mr Armah said the exhibition hall has on display detailed documentation on flora and fauna as well as local cultural and historic artefacts that would soon be opened to tourists. He said the intention is to develop other interesting packages to add a touch of colour to the experience of tourists to sustain their interests. Mr Armah said the hiking and backpacking is a must-do activity for nature lovers because tourist would be taken through the forest to see the endangered species including forest elephants, leopards, bonobos, large forest antelopes, monkeys, buffaloes, duikers, red river hogs. “Our tree house where you can also come and spend a number of days or nights. We have our camp sites where you come in during the day and relax”, he said. 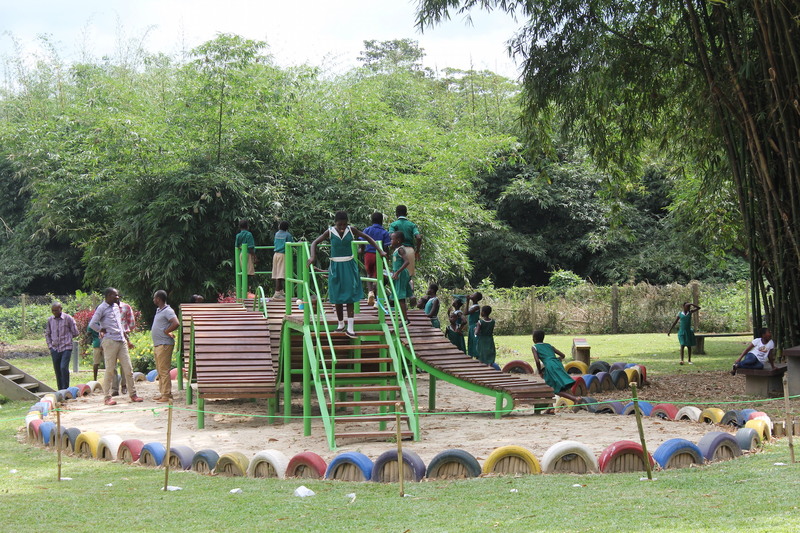 Mr Armah said the children’s park which has a large playground, a mini walk-way, two sculptured antelopes, and a resting area, is also available to host other social activities. With this year being “the year of return”, he said, serious maintenance regime is being followed to ensure that all facilities are in good shape and safe for the anticipated high number of people from the Diaspora that would be visiting the Park during the period. Mr Armah said an eco-tourism environment like the Kakum National Park provided a good platform for learning about nature and conservation and urged Ghanaians to take advantage and visit the facility. He said the Trust’s mandate since its inception is to promote the conservation of historic attractions in the country, adding that it would not compromise on safety with a strong maintenance culture it had adopted over the past two decades. He said more than 132, 000 tourist visited the Park in 2018 and expressed the hope that the figure would see an increase of about 30 percent this year. Mr George Kobina Edah, Communications Manager of the GHCT, said more than 6,000 basic students from across the country participated in its inter-schools Independence Day games including football, volley ball, ludu, draft, lime and spoon and other sporting activities. The idea, Mr Edah said, was to create the awareness that Kakum National Park has a children’s park with all facilities and also to encourage more students to visit the park. He said the Kakum National Park was one of the fundamental places with high value of education and called on educational authorities to regularly take students there on a visit.